Since search engines are one of the major sources of traffic for websites, improving your site’s SEO is vital to getting your website in front of interested consumers. In fact, organic SEO is about 5.66 times better than paid search ads. But what if you’re not an SEO genius, how do you improve your SEO? SEO can be complicated to understand but there’s no need to worry about having to master a new skill. Even if you’re totally lost in the world of search engine optimization, you can easily improve your website’s visibility by taking advantage of some easy-to-use plugins that can handle everything for you. Get ready to skyrocket your page views, here are seven WordPress plugins to boost your SEO. MonsterInsights is a must-have if you want to keep an eye on your analytics. It allows you to view your Google Analytics directly from your WordPress dashboard. Not only is it super convenient for tracking the number of visitors to your site but you can also determine where you’re traffic is coming from, what pages visitors are staying on the longest and what device they’re using to view your site. And you don’t need to know a thing about code to install it, all you have to do is install the plugin, enable the features with one-click and then you can view your reports inside WordPress. By knowing exactly how people find and use your site, you’ll be able to double your traffic in no time. Yoast SEO is one of the most popular WordPress plugins of all time and will cover all of your on-site SEO needs. This plugin is especially great for beginners with it’s simple traffic light system that will tell you how well your site is optimized for SEO by displaying a green light for good, yellow light for needs work and red for poor. Not only does the plugin grade your site’s SEO but it also provides actionable tips on how you can improve. 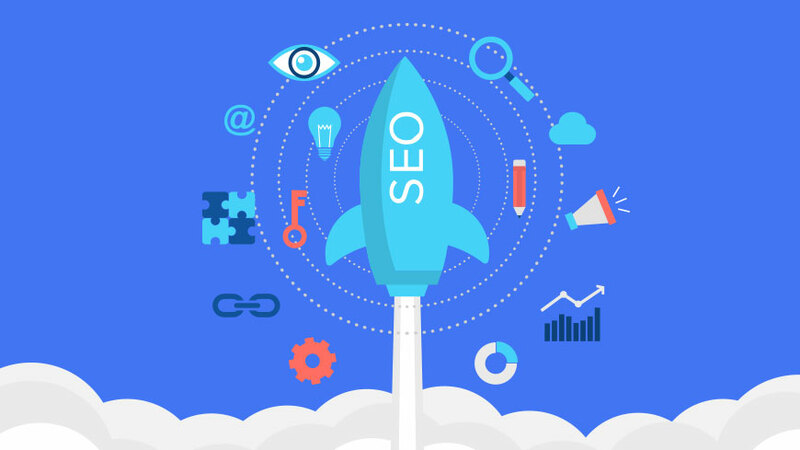 Yoast SEO is also particularly awesome for creating content that attracts more visitors by analyzing your blog posts to ensure that each is optimized for SEO and for your focused keyword. The plugin also lets you preview a snippet of what your blog post will look like in search results and checks the readability of your post so that visitors can fully enjoy your writing once they discover you. Having a quick-loading site is essential to increasing visitors and keeping them happy once they’re there. The W3 Total Cache plugin will improve your site’s search engine result ranking, as well as the user experience, by increasing website performance and reducing download times. No need to be a computer wiz, this plugin will enable browser caching for you. Each time a user visits your site, your browser has to download all the elements of a page including images and HTML but a browser cache enables users to store all the info so they don’t have to download it over and over again. Simply put, caching speeds up your site by allowing your web server to do less work and allowing your content to be accessed faster. Any plugin that makes your site easier to find for search engines is worth having. Google XML Sitemaps is a plugin that can greatly improve your SEO by creating special XML sitemaps which will help search engines like Google, Bing and Yahoo index your website. Google XML Sitemaps automatically generate sitemaps for all different types of WordPress sites, making it much easier for crawlers to see and retrieve the complete structure of your site. Another amazing perk of this plugin is that it actually notifies all of the major search engines every time you publish new content which will give your blog a big SEO boost. Broken Link Checker is an awesome plugin that will scan your website or blog for broken links and let you know if any are found. Broken links can affect your overall link structure and frustrate users but with Broken Link Checker you can easily fix the issue anytime it arises. This plugin can monitor your pages, posts, comments and blogroll for links that don’t work, missing images and redirects and notify you via the dashboard or by email. You can even edit the links directly from the plugin’s page instead of manually updating each post, making it quick and easy to improve your SEO. Page speed is important if you want to increase your SEO as well as the number of users who visit you and an important factor that affects site speed is the size of your images. Especially if your website is image heavy, your site speed can be slowed down to a snail’s pace without a plugin like ShortPixel Image Optimizer. .
ShortPixel Image Optimizer is a plugin that you can install and forget about – once installed it will easily compress all of your past images and PDFs with a single click and all your new images will automatically be resized, rescaled and optimized. Over 50 percent of all website traffic comes from mobile devices which is why AMP for WP is a must-have plugin for your WordPress site. This plugin automatically adds Accelerated Mobile Pages functionality to your WordPress site so it loads quickly and runs smoothly for mobile users. It even includes a Custom AMP Editor which allows you to override your original page content and add different content specifically for your mobile visitors. A lightning fast site for mobile users will increase user engagement which will lower your bounce rate and can result in a higher SERP (search engine results page) ranking. All of these amazing WordPress plugins will help boost your SEO by leaps and bounds so that you can get more traffic to your website and ultimately, more sales. You’ve got nothing to lose since all of these options are so easy to install and use, even if you’re a complete newbie when it comes to search engine optimization. So get started by installing these plugins and you’ll see that optimizing your site for SEO has never been easier.